So before thinking why the heck I bought this and not that, it's just simply because I currently need these things before anything else. Ready? Nivea Extra White Smooth & Firm (Buy 1 Take 1), P352.00 - Who's a Nivea baby here like me? 🙌 One of the most awaited sale of the season is back!!! Get the deal before it run out of stock! No more lotion for me and luckily, I was able to purchased just on time for the sale! Belfour Calamansi Soup, P129.00 - I never tried this but it was recommended by the saleslady. Let me discover if it will turn out good! What's your soap? OMG OMG Nail Polish, P37.50 - I was inspired to paint my nails and I can't wait to show you!!! Purederm Nose Pore, P89.00 - As I've seen a lot of beauty routines everywhere on the web, kinda curious with this Nose Strip and tried it for myself! Miine Bath Basics Loofa, P69.00 - Ever since college Ioofa is part of my bath routine. It helps to exfoliate your skin. It eliminates dead skin cells that will automatically give you smooth skin! Try it! 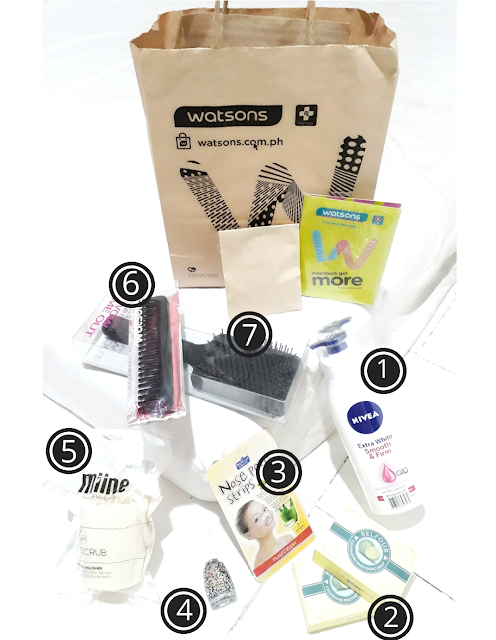 Watsons Nit Comb, P39.00 - One of my 'What's in My Bag?,' to fix my hair anytime I need it! Watsons Paddle Hairbrush, P169.00 - I make sure I have one big brush after taking a shower. Plus, having a perfect brush is the first step to get a perfect hair! Not your usual 1000 Pesos Challenge, not mine too but well for practicality's sake, I need all these! 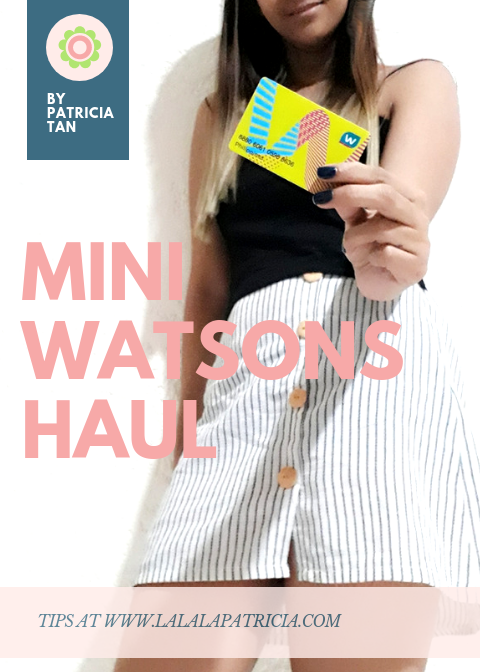 I'm happy with my mini watsons haul! What's your pick?